#4 in the MBAA Series : Team Aggress! 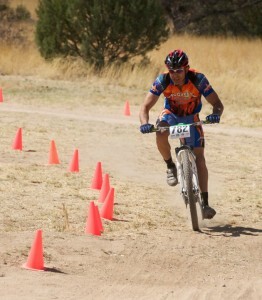 This last Saturday was race #4 in the MBAA state championship series, and it was held on Ft. Huachuca in Sierra Vista. The weather was awesome other than some wind, but hey, this is Arizona in March, right?? Besides, we were on mountain bikes! It was great to have Beto and Paula at the race this weekend, and they were the first ones up in the Marathon Open cat. at 8:00 am. Before the race, Beto had mentioned that he was content to just have a good race and get some good miles in, because he was, after all, competing on a single speed against some very strong riders on geared bikes! But for those of you who know Beto like I do, we know he is incapable of doing anything with less than everything he has. He leaves it all on the course EVERY time! And that’s exactly what he did. 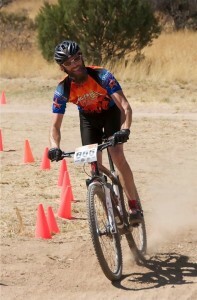 Despite being the ONLY man on a single speed, he proceeded to annihilate the field right from the get go (which required an incredible amount of “dig deepedness”)! He was the ONLY one to complete 8 laps of the brutal course, and brought home an inspiring 1st place finish against a tough field! AWESOME job, Beto – nator! 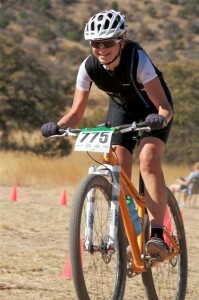 Paula was in the women’s open marathon class, and was ALSO riding a single speed. 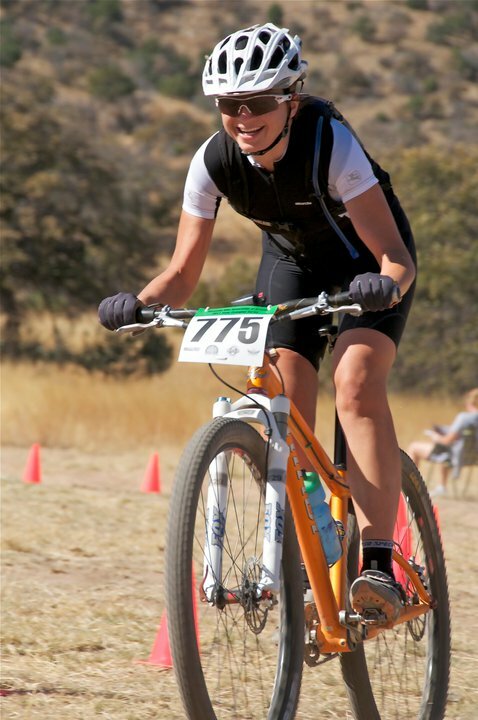 Not only did she finish in first place VERY handily, but she completed just as many laps as the 2nd and 3rd place finishers (on geared bikes) in the MEN’S open cat! WHAT?!?! Strong work, Paula!! !